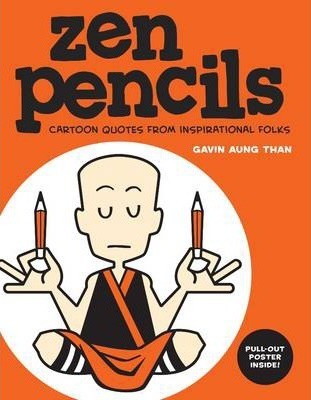 Zen Pencils is an exciting and unique new comic form that takes inspirational and famous quotes and adapts them into comic stories. From icons like Einstein, Gandhi, and Twain to contemporary notables like Carl Sagan and Neil Gaiman their words are turned into sometimes heart-warming, sometimes sobering stories by cartoonist Gavin Aung Than. Be inspired, motivated, educated, and laugh as you read famous words as never before!